If you’re looking for ways to engage your readers or followers with compelling content, figure out how to strategize your next big campaign or story series, find the right words at the right time when it comes to blog posts and articles, branding, or media outreach, I’m your girl. I’m also a social media strategist, so let’s optimize what you do with that content! You can be your own newsmaker. People have called me an Editorial Magician and Media Maven for many reasons, but remember this: just because you don’t see my name on it doesn’t mean I’m not there. I currently work with a number of clients using my experience with both organic editorial and branded content, social media strategy, public relations and earned media outreach, and audience engagement, which makes me a forceful one-woman show. 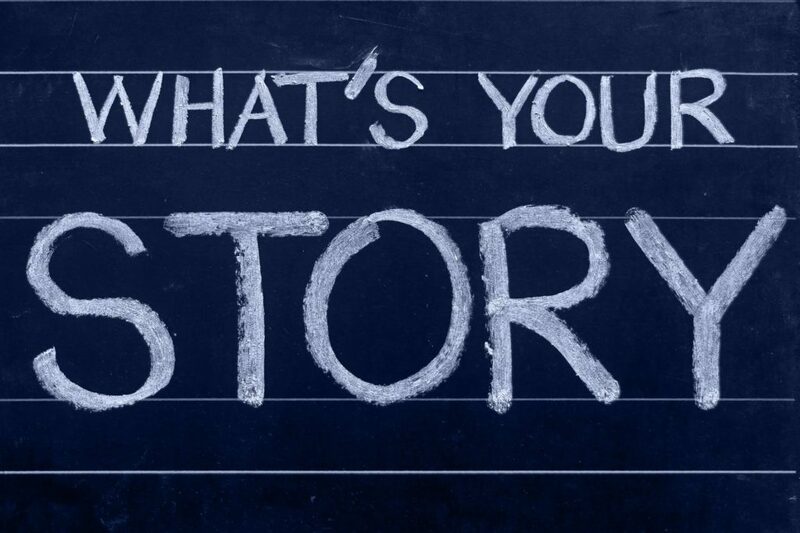 I can create and elevate your storytelling platform and help you execute it in a way that grows your audience and makes them feel good about what you do. I also take some pretty decent professional photos. Here’s a bit more detail about my in-house professional experience behind the scenes. As for who I’m working with now…a magician usually never reveals her secrets, but it can’t hurt to ask! During the transitional time of a merger, I managed, edited, conceptualized, developed and executed copy submitted for publication under the branded studio of Good + Upworthy. I oversaw 30 active campaigns at any given time from sponsors and brands like Starbucks, Cigna and State Farm. Each campaign contained up to 20 articles to run over a 2-3 month period. I optimized stories for engagement with over 12 million Facebook followers, with the goal of ethically motivating them to click and remain engaged with the entire story. I lent my expertise to assuring these stories blended seamlessly with the rest of the editorial content across both sites, upholding our editorial standards while also making sure clients were happy with the final post. I also communicated directly with clients and other team leads, hired and trained new staff and freelance writers, and, most importantly, worked to identify the most impactful storytelling narrative for each story concept sold and delegated to our editorial team. This meant fast-paced, creative thinking aimed at drawing out the most hopeful, emotional and inspirational components of any given story in a way that would resonate most with readers. Worked to find the most engagement storytelling narrative for each story concept sold and delegated to the editorial team and identified the hopeful, emotional and inspirational components. Edited pieces with both bigger-picture suggestions and line edits, from concept to execution, other editors and writers, keeping both client and brand goals in mind and negotiating that with the editorial standards and mission of the site. Worked to achieve highest “upscores” and reader engagement for every article based on previous data and real-time A/B testing data. Made decisions on how to address client feedback in a proactive way while upholding editorial standards of the site/s. Oversaw and addressed hundreds of messages and requests that came through the Asana task management system each day. Effectively multi-tasked across programming platforms with many staff members at once while keeping highly organized with lists, spreadsheets and other management systems. Worked with editors, video/digital department and graphics/photo editors to develop and deliver story packages. Managed and created editorial calendars for each brand campaign. Interviewed and hired freelancers, project editors, new staff and full and part-time contractors. Established a vision for execution of editorial articles and editorial campaigns. Oversaw and participated in pitch-hunting to assure client received ideas in line with their expectations. Interfaced with copy and standards departments to assure accuracy and enforce best practices in all deliverable copy. Monitored and amended headlines and social media share texts to avoid ‘Clickbait’ while optimizing clicks in an ethical way. Communicated frequently, clearly, and congenially with all other staff, even in difficult situations and listened with an equally astute ear. Developed strong relationships with numerous sources, organizations, and publicists. Analyzed which stories generated the most traffic in order to build a wider audience and increase unique visits per month. Created and grew an online magazine from scratch that ran over 100 stories and videos over the course of one year on the topics of social good, social issues, social change, and social justice. Made key decisions regarding content and direction. Conceptualized layout, SEO, sourced photos, wrote headlines. Assigned and extensively edited pieces for daily publication and wrote original stories twice weekly. Worked the roles of editor in chief, managing editor, copy editor, social media editor, reporter, and business development. Wrote, edited, and oversaw layout of original pieces, including multi-media content, for website running seven stories a day and receiving 2.5 million views per month assign and edit and pieces submitted by reporters. Aggregated popular stories for re-writes on the site. Made key decisions regarding content and direction for stories receiving up to 1 million shares on social media. Managed SEO, source photos, and wrote headlines. Developed strong relationships with numerous sources including foundations, coalitions, nonprofits, organizations, and publicists. Built strategic and targeted press lists and pitched potential stories and client news to reporters, editors and producers. Conceptualized creative news angles for companies in order to secure year-round press coverage. Wrote and released engaging press releases. Sought out potential new clients and wrote detailed new business proposals. Wrote content for client websites and social media pages. Increased customer base by finding unique angles to highlight and pitch.